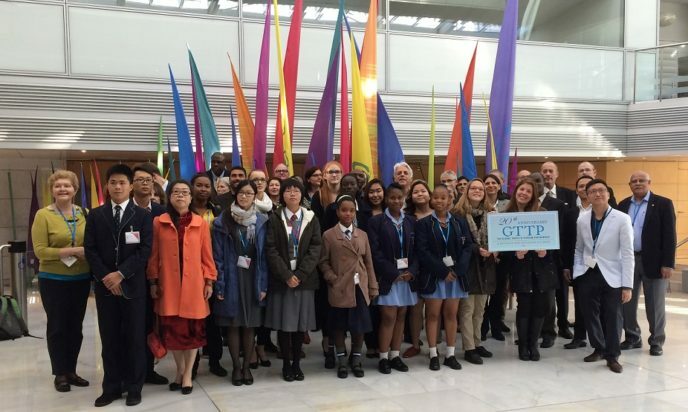 Between the 2nd and 6th of December, the GTTP (Global Travel and Tourism Partnership) welcomed students and teachers from around the world to our annual research competition and awards, hosted by Amadeus and Starwood, at the Amadeus Executive Briefing Centre and Meridien Hotel Nice. This year’s theme – Heritage Tourism – honoured GTTP’s 20th Anniversary celebrations and looked at how Heritage Tourism can attract more visitors and enhance the tourist experience in their respective countries. Twenty students were selected as the 2016 Student Research Competition winners from over 2,000 entries. Over the two days the students presented heritage tourism sites in their countries – Brazil, Canada, China, Hong Kong, Hungary, Jamaica, Kenya, Russia, South Africa, and Tanzania. Supported by their teachers the young people shared their research, little known facts about “off the beaten track” sites and their suggestions for improvements of tourism while also including interactive games to involve the audience. In addition to the opportunity to represent their country, students met with peers from around the globe, experienced different cultures, benefitted from the facilities of Amadeus’ high-tech customer briefing centre and were also given a tour of a world class hotel where they learned first-hand about work in travel and tourism. Michel Taride, Chairman of the GTTPAdvisory Board and Group President, Hertz International commented, “It was very inspiring for all the attendees – students, teachers, directors and Partners alike – to see all these young people presenting a piece of their cultural heritage with pride and passion as part of professional case studies. 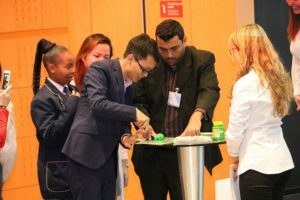 The GTTP research competitions are devised to encourage the development of skills these young people will need in their careers, including critical thinking, team collaboration, research, writing and speaking. In addition, they are required to explore and reflect upon topics important to the long-term development of the travel and tourism industry, such as sustainability and technology. This event supports GTTP’s mission to inspire and enable young people to build careers in Travel and Tourism and we are proud to know that over 2 million students have participated in GTTP programs around the world. As a GTTP Board Member, I was inspired by the professionalism of these students. The huge effort that went into their research projects was apparent and their ability to delight the audience with facts, animation and humour – not easy when not in your native language – was equally inspiring. Six of the projects focused on the history of indigenous people from Tanzania, Canada, Brazil, Jamaica, South Africa and Kenya. The blight of slavery and apartheid is an important reminder for current and future generations. The Jamaican message regarding that island’s ethnic mix “Out of many one people” is a timely reminder that we all have a rich genetic history, an important lesson in today’s world. Reprinted with kind permission from the Amadeus Blog.